If you’re in the market for a roof that is resistant to hail damage, long-lasting and durable in hot weather and cold, look no further than EPDM roofs! Like built-up roofs, EPDM roofs are commonly used on low-slope buildings across the U.S. EPDM stands for “ethylene propylene diene terpolymer,” which is a type of rubber. 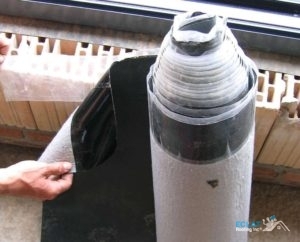 This is why you may also know this material as a rubber roof. At Eclat Roofing, we are happy to fix, maintain and install any Dallas, TX EPDM roofs! Our experts know how to work with this commercial roofing material and can help extend the life of your roofing system. Call us today to schedule your EPDM roof service at (214) 373-1500! If you happen to notice leaks or other evidence of roof damage, call Eclat Roofing! We can fix your roof in no time so you don’t have to worry about more costly fixes and replacements down the line. Our pro roofers are dedicated to repairing Dallas, TX EPDM roofs right the first time, so you won’t have to worry about those costly repeat visits. Periodically, you may want to schedule maintenance for your EPDM roof to make sure it is performing well. We will remove any leaves, branches or other debris that could have fallen on it. While these roofs are hail resistant, it is always a good idea to give a trustworthy roofer a call after a heavy storm to make sure your roof is in good condition! EPDM comes in sheets that our roofers will adhere to your roof for a long-lasting and durable system. These roofs can last for decades with proper maintenance and prompt repairs, especially with quality roofing contractors on the job! Our roofers are all trained in the EPDM installation procedures so you can be sure that the roof we put over your commercial property will protect it for a long time. Since 1999, we have provided Dallas, TX EPDM roofs that last! With our A+ rating with the Better Business Bureau, you can be assured that the roofing service you get will be done by an experienced professional in the roofing field. Call Eclat Roofing at (214) 373-1500 for your rubber roof service today! Updated on September 13, 2018 at 3:05 pm by Eclat Roofing.